The pop superstar will play a burlesque dancer named Bubble. Rihanna was the director's first choice for the pivotal role and he figured it couldn't hurt to ask. Director Luc Besson says getting Rihanna's team on board for her role in the sci-fi epic "Valerian and the City of a Thousand Planets" was a little painful at first. Rihanna's manager Jay Brown was a fan of Besson's films like "The Professional" and "La Femme Nikita" but they had to make sure they trusted Besson and his crew before they committed. The pop superstar co-stars in "Valerian," out July 21, as a burlesque dancer named Bubble who performs in a seedy club owned by Ethan Hawke. Although it's a relatively small part in the film starring Cara Delevingne and Dane DeHaan, it's already being hailed by early viewers as a scene-stealing performance. Rihanna, who wasn't available for an interview, was the director's first choice for the pivotal role and he figured it couldn't hurt to ask. She'd had a main role in the 2012 film "Battleship" and the animated "Home," and cameos in "This Is the End" and "Annie." He was surprised at how involved her team was at the outset. "They're very protective of her," he said "So before you get in, you have to prove that you're honest and you're there for a good reason ... . It's a little painful at the beginning, but after a while you go, 'Yeah, we get it.'" 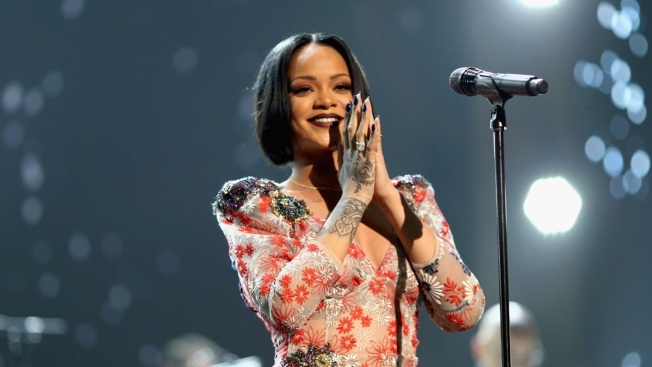 Once the Grammy winner's team decided to move forward, Besson said Rihanna "was lovely." "What was good was when she was on the set she's 200 percent focused with you, no entourage, she's there. When she's there, she's there," Besson said. "The problem, sometimes, is to have her there," the French director added with a smile, to which his wife and producer Virginie Besson-Silla quickly jumped in and said, "No, no, she's was good!" "She was good," Besson agreed. "She was amazing and so focused. I was surprised by how much she was ready and open to the director ... She was at my service and I was surprised at the beginning. She was so generous."